Our Wines — Idyll Wine Co. Suggested Cuisine: A great all-rounder that will pair well with seafood, spicy Asian meals and dishes that combine citrus and ginger. Winemaking: Fruit for this wine is sourced from two distinct areas. The first is the Adelaide Hills which brings intensity of flavour and aroma, and a crisp back bone. The second is the Murray Darling where tropical fruit and citrus aromas come to the fore. Our winemakers harness this potential utilising cool ferments, minimal intervention and a careful hand in blending and preparing for bottling. Palate: A marriage of French and American Oak leads to soft and ripe tannins and red berry fruit with a lingering finish. 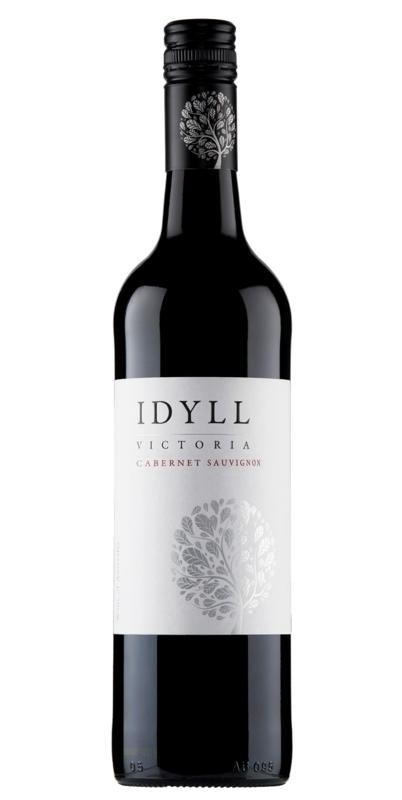 Suggested Cuisine: A versatile wine, we find a steak or a hearty slow cooked meal complement this Cabernet Sauvignon best. Winemaking: Fermentation occurs during contact with skins over a period fo 7-10 days. Following this our winemakers pay special care and attention to the delicate tanning structure during maturation over the next 8 months with a blend of American and French Oak. Bouquet: Tropical fruit with a hint of toasted oak. Suggested Cuisine: An wine that can be matched with many styles of cuisine but pairs particularly well with Asian dishes. Winemaking: Vineyard selection is a key point for our Chardonnay. Our winemakers carefully select form younger vines that possess excellent vigour and acidity. This translates to a fresh and crisp style bolstered by aromas of stone fruit and pineapple. Bouquet: Generous layers of black cherry and plum combining with notes of liquorice and spice. Suggested Cuisine: An all-round wine that will partner well with most occasions, but give it a go with BBQ, pasta, pizza or anything slow-cooked. Winemaking: Produced from vineyards chosen for their ability to produce great colour and body as well as lifted fruit-forward wines. The grapes were fermented on skins for 7-10 days before maturing over the next 8 months with a blend of American and French Oak.